Best rates, no extra fees ! With Gitelink, most properties can be booked directly with owners, avoiding the booking fees, administrative charges or credit card fees charged by many online holiday accommodation sites. New! Small gite with pool 47 - : 15 km south of Marmande, in the Garonne valley, An upstairs gite for 4, with private terrace, garden and own swimming pool. The gite is located in a quiet farming hamlet. Also B&B. Dordogne B&B 24 - We offer a friendly, comfortable stay in our lovely house, tucked away in a tranquil corner of a village yet near amenities and activities. Dordogne cottages 24 - : A wonderfully located gite complex, including cottages and studios, with pool, garden and games, in the centre of the "golden triangle" of the Perigord Noir.Close to Sarlat & Les Eyzies. Gites near Domme 24 - - :A cluster of 4 small luxury gites in the golden triangle of the Black Perigord above Cenac et St. Julien with stunning views of Domme. Apartment in historic Sarlat 24 - :Comfortable studio overlooking Sarlat's main square in the heart of the medieval district, located in one of Sarlat's most iconic buildings. Sleeps 2. B&B at Sarlat, Dordogne 24 - Three B&B rooms in this elegant house standing in its own grounds just outside Sarlat la Caneda. Organic breakfasts, painting courses available. Online booking. Gite for 6 near St. Cyprien 24 - Gite for 6 in a traditional Dordogne house, with swimming pool. Online booking. No internet. Small gite with pool 47 - : 15 km south of Marmande, in the Garonne valley, an upstairs gite for 4 with private terrace, garden and own swimming pool. 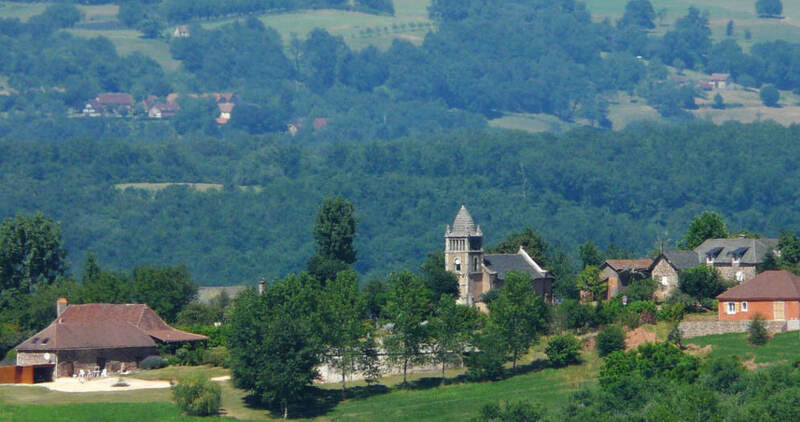 The gite is located in a quiet farming hamlet. Also B&B. Between Lot & Garonne 47 A warm welcome awaits you at Faysselle. Three lovely gites with pool set in 12 acres of idyllic countryside. Pour inscrire un gite à Gitelink consultez d'abord notre page informations propriétaires. 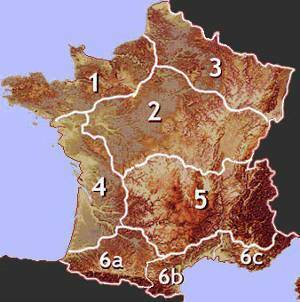 The departments of Dordogne - capital Périgueux - and Lot & Garonne - capital Agen - stretch from the low-lying Atlantic coastal plain to the foothills of the Massif Central on the borders with the Limousin region. The area has long been popular with visitors from Britain, Holland and other parts of Europe, as well as Parisians, many of whom have retired to this part of rural France and renovated old country cottages as gites. In much of the region, traditional houses are built in the local honey-coloured limestone. Dordogne is also celebrated for its beautiful villages, castles and also prehistoric sites including the world-famous Lascaux caves. 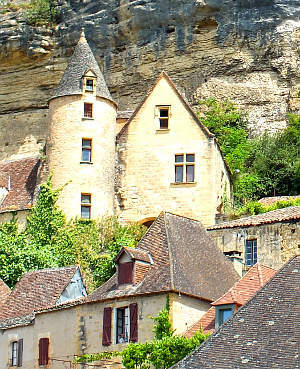 For the French, Dordogne - more commonly known as Périgord - is best known for its famous cuisine, and regional specialities such as paté de foie gras and truffles, walnut oil are known throughout France and well beyond. Lot et Garonne is famous for its fruit and vergetables, including Agen prunes and Marmande tomatoes. 7 to 12 hours from Calais or Lille under normal driving conditions. Regional airports: Brive la Gaillarde, Bergerac, Rodez , Bordeaux, Limoges. Except for photo top of page by Père Igor.